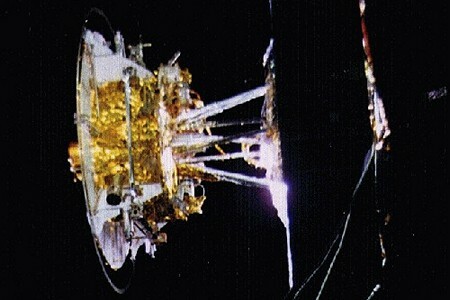 The Swedish satellite FREJA (name pronounced fray-ya) was launched October 6th, 1992 from the Gobi Dessert in Central China. 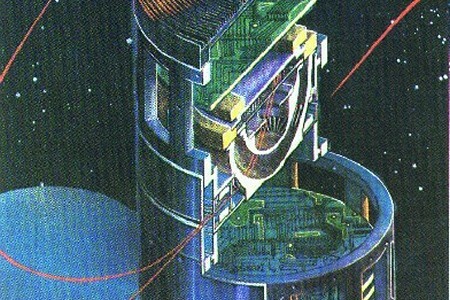 It carried a Canadian Cold Plasma Analyzer (designated F3C), the development of which was led by Dr. Brian Whalen of the Herzberg Institute for Astrophysics in Ottawa and built by COM DEV Ltd. in Cambridge, Ontario. This instrument was designed to measure cold plasma. F3C was able to discern energy per unit charge (E/Q) of ions or electrons in the range 0 < E/Q < 200 Volts and complemented measurements made by the F3H hot plasma experiment. 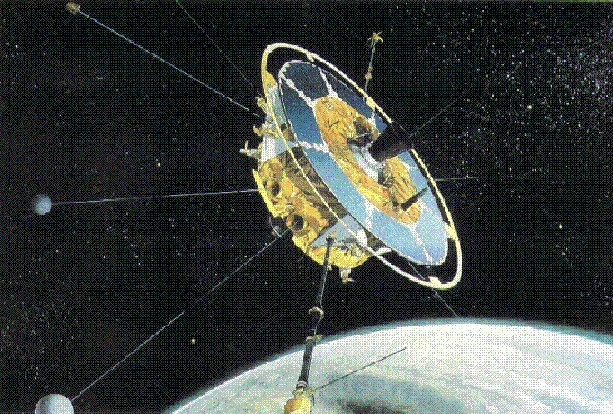 Funding for the construction of F3C was provided by the National Research Council of Canada - Space Division, which later became the Canadian Space Agency. CSA funded final development and operations of the CPA. Support for scientific work was initially generated by the National Research Council's Herzberg Institute and then by the Natural Science and Engineering Research Council of Canada. .
Data from F3C were telemetered to receiving stations at Esrange, Sweden, Prince Albert, Saskatchewan, and at the Japanese base SYOWA in Antarctica. 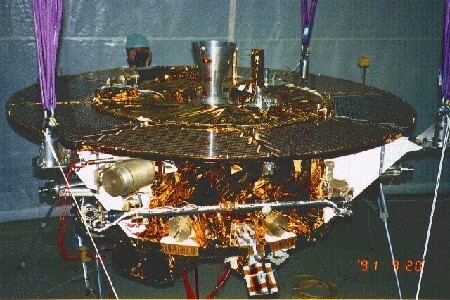 CPA operations were handled by Institute for Space and Atmospheric Studies at the University of Saskatchewan in Saskatoon, while the data analysis has been done at the U of C following the arrival in 1995 the CPA's PI for data analysis (David Knudsen) following Dr. Whalen's retirement. 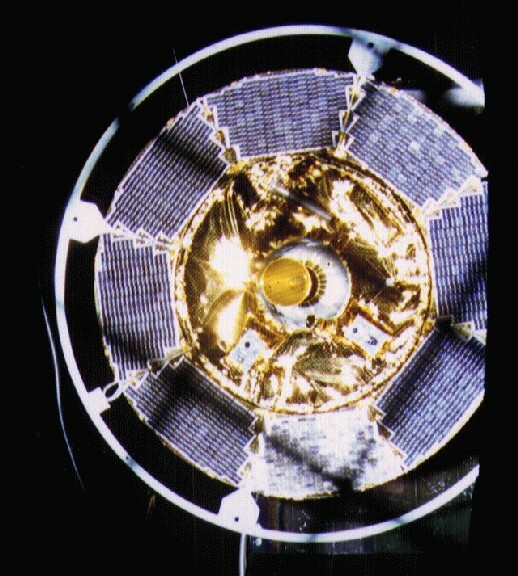 The CPA operated from January 1993 through May 1994, and had two new capabilities that made it unique: 1) True 2-D energy/angle-of-arrival imaging capability and 2) unprecedented spatial resolution. The latter feature has led to observations which show that intense ion heating is often confined within narrow regions of intense, low-frequency electromagnetic perturbations only a few hundred metres across, and which have been identified as solitary kinetic Alfven waves (SKAW's). Future studies using CPA will seek to uncover the exact mechanisms by which SKAW's energize ions, and to characterize the larger-scale plasma environment in which these small-scale particle energization structures are embedded (see Publications below). 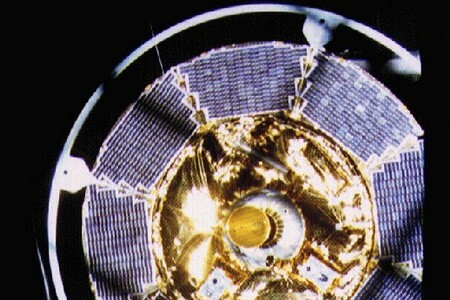 Sweden's third satellite, FREJA, was launched into a 62° inclination orbit on October 6th, 1992 at 06:20:02 UT from the Gobi Desert in China. Its primary purpose was to investigate the physical plasma processes occurring on medium altitude (approx 13000 km) auroral field lines. Previous observations made with the S3-3 satellite (at lower altitudes than FREJA) and the Dynamics Explorer satellite (at higher altitudes) have shown this region to be the site of a number of fundamentally important plasma processes including the acceleration of particles both into and out of the auroral ionosphere, wave-particle interactions and the generation of parallel electric fields. The Cold Plasma Analyzer (CPA) Instrument is composed of three major elements (subsystems): the Sensor Assembly (SA), the Boom Assembly(BA), and the Power and Controller Unit (PCU). The sensor assembly contains an electrostatic analyser and electronics to accumulate pulses from theMicrochannel Plate (MCP) detector and transmits the results to the PCU. It also contains a sun sensor subsystem to determine the attitude of the SA, and a temperature sensor and SA heater which is controlled by the PCU. 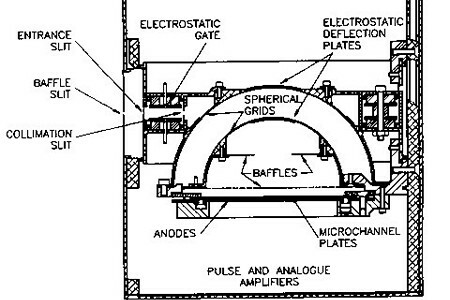 In the SA, energy analysis is performed by a spherical plate electrostatic analyser which focuses a parallel beam of charged particles incident in the plane perpendicular to the sensor axis of symmetry onto a high-speed MCP. 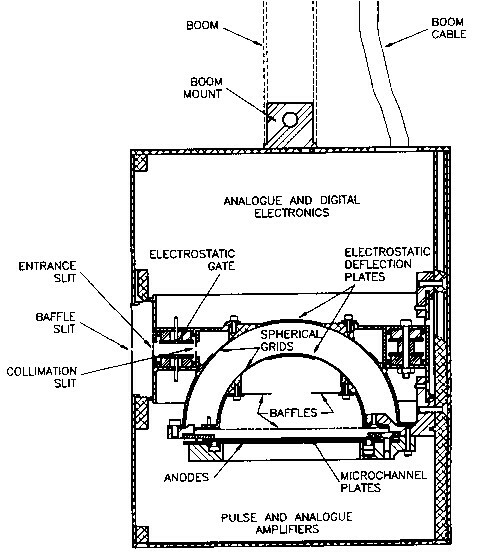 The analyser disperses energy in the radial direction and angle of incidence in the azimuthal direction. Thus, for one setting of the analyser electrodes, simultaneous energy/angle of incidence information may be derived in one plane. Thus, the instrument provides a near instantaneous image of the particle distribution function in a plane and a complete (4 pi ) image in one-half a spacecraft rotation. The imaging capability is utilized to provide high temporal (spatial) resolution information in the image plane. These data are derived from two independent "pulse" and "current mode" (low and high frequency) signal processing paths. A high count rate MCP is used as the image plane sensor and is operated with bias currents adequate to maintain a linear response at count rates in excess of 30 MHz (summed over the MCP active area). When the sensor is operated near the maximum count rate, statistically significant estimates of electron or ion densities, temperatures and drift velocities may be derived in approximately 0.1 ms. Any combination of the above parameters may be selected to be telemetered to ground, resulting in a maximum temporal resolution (for any one parameter) of approximately 0.1 ms.
An Automatic Count Rate Control (elecrostatic gating) system is included in the sensor entrance aperture to increase the dynamic range of the instrument. This gate is also used to perform a coarse mass analysis of the incident thermal ion population. To support the plasma density observations, the SA is electrically isolated from the boom. The surface may be biased and the current to the surface monitored by electronics in the SA. 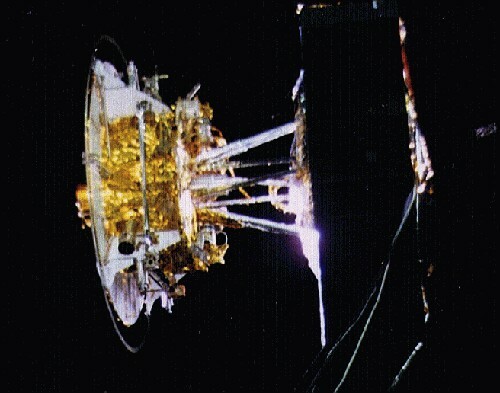 Since the analyser has been designed specifically for thermal and suprathermal energies, the sensor must be deployed on a boom to avoid the perturbing effects associated with the spacecraft. Also, to control (or offset) spacecraft charging, the potential of the external surface of the sensor is adjustable and the surface material is carefully selected to reduce contact potential problems inherent in verylow-energy charged particle observations. The boom, which is a ``Stacer'' mechanism, will deploy the CPA to a distance of two meters from the spacecraft, which should place the sensor outside the Freja sheath using reasonable assumptions about the local plasma distribution. We note that the SA will from time to time enter the wake of the spacecraft, allowing the CPA to sample these perturbations, which is an interesting study in itself. In general, the sensor should be in a good position to sample the unperturbed medium. Langmuir probe response tests will also be conducted using the SA skin as a probe while simultaneously observing the particle distributions arriving at the probe surface. These data will be used to test a computer model of the particle trajectories in the SA sheath, which is both a scientifically interesting and technically challenging problem. The PCU contains the high- and low-voltage power converters and instrument controller. The converters operate in the 100 to 150 kHz frequency range, are programmed by the controller and externally switched by a hardwired (safety) command decoder. The controller unit is composed of two microprocessors (8085) and peripherals, a 32 Kbit program ram, and a 1 Mbit storage ram. The definitions of the CPA operation modes are contained in sequencing files which define all the sensor electrical parameters, the data collection and compression algorithms, parameter looping, telemetry format and sequence between operation modes which are time tagged to the Freja clock. A number of sequencing files are contained in the program ram and these may be changed by ground command. Orientation Sun Oriented +/- 30 degrees. Measures potential difference between opposing probes. Also provides satellite potential information, indicating relative plasma density variations of the ambient plasma. Measures Earth's Magnetic Field in 3 dimensions. Measures 3-axis waves from 1.5 Hz to 64 Hz bandpassed. including polarization, ellipticity, etc of the wave field. Electron Spectrometer measures the angular and energy distributions of electrons with high temporal and spacial resolution. Ion Composition Spectrometer measures hot and cold ion distributions. Brian Whalen, Hertzberg Institute for Astrophysics (HIA), Nationa Research Council of Canada, Ottawa, Canada. Electro-static analyser detects ions and electrons. Sampling Rate 10 ms typical, 0.1 ms maximum. Measures electric, magnetic, density and electron temperature wave fields and turbulence as well as backround plasma density and background electron temperatures. Sampling rate 64 /s minimum 640 /s maximum. Energy steps - 32 normal 64 maximum. Whalen, B., A., D. J. Knudsen, A. W. Yau, A. M. Pilon, T. A. Cameron, J. F. Sebesta, D. J. McEwan, J. 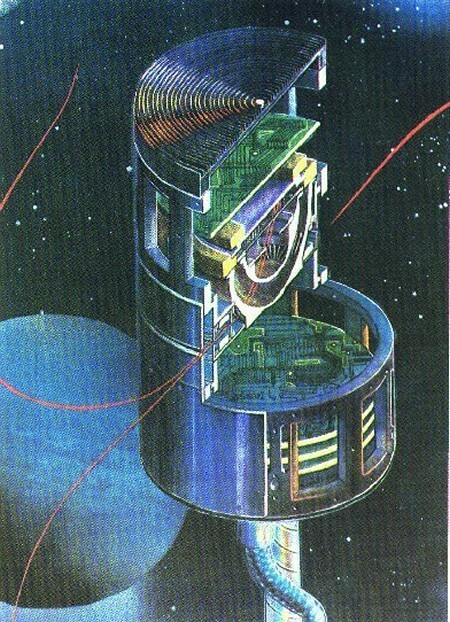 A. Koehler, N. D. Lloyd, G. Pocobelli, J. G. Laframboise, W. Li, R. Lundin, L. Eliasson, S. Watanabe, and G. S. Campbell, The Freja F3C Cold Plasma Analyzer, Space Sci. Rev., 70, p.541-561, 1994. Knudsen, D. J., B. A. Whalen, A. W. Yau, M. J. Greffen, A. I. Eriksson, N. Lloyd, M. Boehm, J. Clemmons, and L. G. Blomberg, Sub-kilometer thermal plasma structure near 1750 km altitude in the polar cusp/cleft, Geophys. Res. Lett., 21, 1907, 1994. Knudsen, D.J., J.H. Clemmons, and J.-E. Wahlund, Correlation between core ion energization, suprathermal electron bursts, and ELF plasma waves, J. Geophys. Res., 103, 4171, 1998. Knudsen, D.J., and J.E. Wahlund, Core ion flux bursts within solitary kinetic Alfvén waves, J. Geophys. Res., 103, 4157, 1998. Knudsen, D.J., P.O. Dovner, A.I. Eriksson, and K.A. Lynch, The effect of lower hybrid cavities on core plasma observed by Freja, J. Geophys. Res., 103, 4241, 1998. Knudsen, D. J., T. D. Phan, M. D. Gladders, M. Greffen, and B. A. Whalen, Thermal electron temperature measurements from the Freja Cold Plasma Analzyer, AGU Monograph on Measurement Techniques for Space Plasmas, edited by Borovsky, Pfaff, and Young, American Geophysical Union, Washington, D.C., 1998. Wahlund, J.-E., A.I. Eriksson, B. Holback, M.H. Boehm, J. Bonnell, P.M. Kintner, C.E. Seyler, J.H. Clemmons, L. Eliasson, D.J. Knudsen, P. Norqvist, L.J. Zanetti, Broadband ELF plasma emission during auroral energization, 1, Slow ion acoustic waves, J. Geophys. Res., 103 , 4343, 1998.